I am so happy to invite you to celebrate Altenew’s 5th Anniversary hop with us and the celebrations are continuing! We are hopping along and you should have arrived here from the talented KATHY’s fabulous blog! I decided I had to have some flowers in my project today and I couldn’t resist the new Wallpaper Art Stamp Set….. sigh! I added colour using the Blender Brushes with the coordinating Mask Stencil, these are one of my new fave products from Altenew! The Leaf Canopy was stamped in Limestone ink and I offset the outline. Today’s sentiment comes from the Hope Stamp Set (which is another favourite Altenew flower of mine). And a final touch was to add some Jet Black Ink Splatter and some Enamel Dots. < Previous Video : Build-A-Flower: Sweet Violet Blog Hop & Giveaway! Next > How to Create Clean & Simple Cards – It’s Easy! + Video! Beautiful card!! That wallflower art stamp set is on my wish list!! These ideas are terrific, thanks so much for sharing. I just adore the grey/yellow color combo! So beautiful! I like the drop-shadow on the leaves as well as your color choices. This is beautiful. Love the two tone sentiment. Love that offset. Thanks, Therese. Gorgeous card, Therese. I love the partial coloring. What a lovely card! Love the wallpaper set! The black splatter and enamel drops were great finishing touches. When I saw the cards in the Altenew e-mail I knew this one was yours. Beautiful and bright! Thanks Therese. Your work is always an inspiration. Beautiful card, Therese!. Love this stamp set. Beautiful card! Love the color. Thanks for sharing! Love the way the background make the flower the Wow piece on your card. Beautiful! Wonderful and trendy card design !! I loved the cool hope die cut ! I really like the colors you used. Great card! Thanks for sharing. Beautiful card, love the monotone feel of it. Very nice! Such gorgeous card. Love the color combo. I really like your card! so pretty! I think I’m going to have to order that stamp set. Thanks for the inspiration! Happy anniversary Altenew! Beautiful as always. I am going to have to add that leaf canopy to my wishlist! as always – a truly gorgeous card! The stamp set is on my wish list as well. Such a pretty flower and I love stamps that give lots of “real estate” to color. What a pretty card. Happy Anniversary Altenew and thank you, Therese. Gorgeous card. Love the colour choices. The stamp set is on my wish list too. 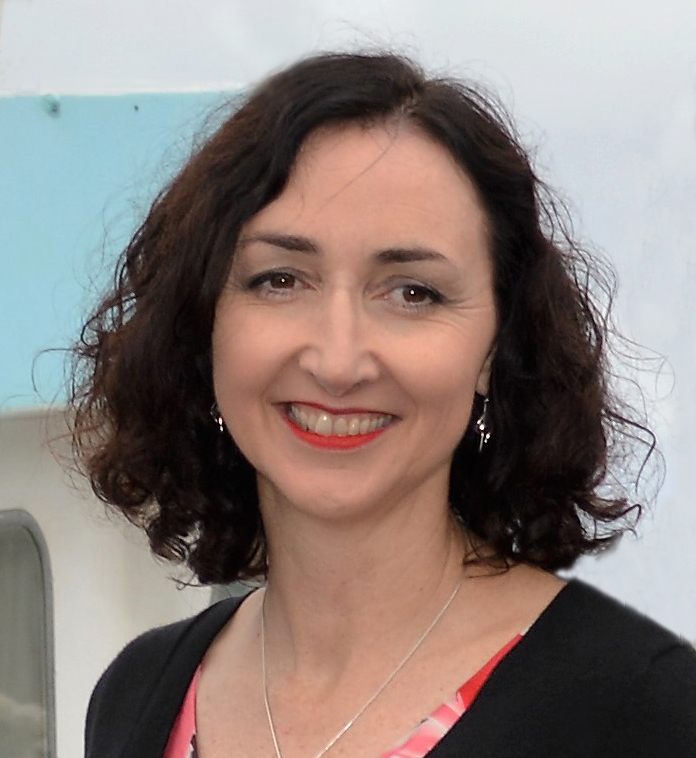 Happy Anniversary to Altenew and thank you, Therese! What a BEAUTIFUL card! Happy Anniversary to Altenew!!! Gorgeous card! This stamp set is on my wish list. Thank you Altenew for the lovely flower stamps that you create. Such a fun color palette! Very nice. Love the colours of this card. the leaf canopy bundle is on it’s way to me as I type this. Can’t wait for it to arrive so I can CASE this inspired design. I have the Leaf Canopy set and love the way you used it here. Your card is beautifully understated and I love your style. I agree that Altenew has wonderful florals and sometimes I want them all. LOL! A beautiful flower and my favorite color (yellow).your card turned out awesome. Beautiful Card Therese! Thank you for sharing you talent with us. I love Altenew products!! Very pretty card! Love the offset leaves. You used my favorite set and you used it beautifully! Yay for Altenew at 5! The lime green and gray are so very cool together, as always, you make lovely things Therese. Another gorgeous design Therese! Love the pop of color on the half “dipped” sentiment and the bright color of the bloom. Thanks for the inspiration! I love unexpected color combinations for flowers. This is awesome! Love your card. Love the stamp set too and teh colors u have used. Awesome card! I always learn something from you😀 love the way you did the word hope. I love the two-tone die cut! So pretty! I like how you off set the leaf canopy. Looks great! Took a tour of your blog since I found your cards so cool and beautiful! Definitely subscribed! Love the bright color on this with black and white! I love following your work. Your videos are so helpful. This card is another example of technique that gives a delicacy to the image. Love the colors. Wonderful card. Happy Anniversary Altenew! so beautifully created, love that set… Happy Birthday Altnew.. Wow!, every time I see someone use that wallpaper art stamp set, the cards just turning out stunning every time!!! Any color, any medium!! Fabulous!!! Definitely hit it out of the park with that set, I want it!!! Love your green and gray color combination. Very pretty card! Beautiful card, love how you combined sets and the yellow and gray color combo! Therese, love your card! Such pretty colors and layout! Thank you! Love the flower! Great job on shading! Love this card.. Wow the flower colors so soft and perfect.. Enjoy your posts. I remember when you didn’t want those splatters on your card and now they are all the rage. Lovely card, thanks for sharing. Love the yellow and gray together, two of my favorite stamp sets as well. Fabulous card. Beautiful card! I love this stamp set! Your work is always beautiful, but I love the simplicity of this card with full focus on the flower. The Wallflower set is such a must-have. Love your dramatic and oh-so-modern card. Great layout and color scheme. Love the texture too! Beautiful card, Therese!! Love the black and white hope. Clean and simple, and GORGEOUS!! Gorgeous card–love that stamp set. After seeing your card I am reminded, again, that my cards tend to be too busy. Or just too much. Yours is just right! Going to give thought to how I can tone down some of my work. The Wallpaper Art Stamp set is so pretty. I love seeing all the ways it can be used. I love your card. It’s very creative and contemporary. Absolutely love your work, I’m such a fan. Love the black and white detail of the sentiment, I’m definitely inspired. Thanks for sharing your creativity! This simple yet stunningly beautiful card is amazing, Therese!!! It’s such a nice way to showcase products for Altenew’s 5th Anniversary. Gorgeous! I love the way the flower pops against the neutral background. Thanks for the inspiration and congrats to Altenew! Wow, this is so pretty. I love yellow. I love the gorgeous simplicity of the card. The offset stamping makes such an impact! Love this bright yellow flower and the Leaf Canopy stamp in the background. It is one of my absolute favorite stamp from Altenew! Thanks for the share. Happy anniversary, Altenew! Such a lovely card with a pretty color combination. Beautiful card! I have a set of the blender brushes and love them. Can’t wait to try a new Altenew set that includes a mask. Genius idea! Happy 5th!! Beautiful card Therese….you never disappoint me. I have this pretty stamp set…and I have only attempted to make one card….but I must say…it turned out great…and I think that is because ….the beauty of the stamp overcame all of my errors on the card…..thank you Altenew! Congrats on your success! Thank you Therese for sharing this pretty card today…. Such a beautiful card. I love this stamp set with the large flower. Thank you for the inspiration! Stunning card! Love the big pop of colour against the greys and blacks! Lovely card to celebrate Altenew’s fifth anniversary! Beautiful card, as always, Therese! Beautiful colors! Happy Anniversary Altenew! Love this beautiful card! I can’t wait for that Wallpaper stamp/die set to come back in stock. Beautiful card, Therese. I love your coloring and the layout is gorgeous. Such an elegant card. That limeade is amazing and the touch of black splatters is just perfect! Gorgeous design, and I love that the word hope is only partially black. Very artistic. Beautiful card. Could be used for so many occasions. I like this minimal card design. I just finished an Easter shaker card and it took 3 hours!!!!! I love your fresh popping green blended flower combined with black ink splatter. Absolutely love your card Therese. The off setting of the leaves and the way you’ve created ‘hope’ work so well together. I have this set and am looking forward to playing with it! Thank you for sharing. I love that you used blending brushes for the flower. I never would have thought to use them like that. Beautiful card. Your card is gorgeous! The yellow really pops- beautiful color combination! Fabulous card love both of these sets! I like the contrast. Lovely! Delightful and refreshing. And it’s so fun to have that two tone sentiment! How gorgeous that flower is in the lime! Love the levels in the grey too. Beautiful color combo. I like the spatters and enamel dots. Lovely card! I love that flower. I just ordered that one and I can’t wait to play. I love your split color sentiment, what a clever idea! Love the lime flower. What a beautiful card! Beautiful card! A huge congratulations to Altenew for five years of amazing products and inspiration! A huge congratulations to Altenew for an amazing five years. I have loved the journey and cannot wait to see what the future holds. Thanks for such wonderful inspiration! Love the elegance of this card. Beautiful card! As always your color selection is right on! Fantastic use of the two stamp sets! Really pretty card, thank you for sharing! Loving everything about this card … colors, stamps, especially the offset gray and black outlines. This is so breathtaking. The Wallpaper Art set is one of my new favorites too. Love the soft color and the great splatters. Happy Anniversary Altenew! Very pretty Therese. Love the soft coloring on the flower… the two-toned word is awesome! Love it. I’m new to card making and love the split cardstock diecut. ‘m going to try that! Beautiful card! Your color choice makes everything so modern, love it! Your card is gorgeous, Therese! Love the colors you chose to use for it. This stamp/die set is on its way to my house as I type! fun hop. great projects. thanks as always for sharing. I love what you did with the “hope” great colors and design! Love all the florals you’ve been making lately. Notice a cute offset on the leaves, looks great. I now have to get some enamel dots. Love the colors you used! Beautiful! Just love the card, so very elegant. Beautiful stamp set. Great inspiration! Thanks for sharing. The colors you used make the card! Thanks for showing us. Your card is gorgeous, Therese! Love the colors you chose for it. This stamp set is on its way to my house, as I type!! Wow! That’s a cool idea! Love the colors and the design. Thanks for sharing. Hi Therese. Fabulous card, as always – of course you have to use your greys, hehehehe but the outcome is always very beautiful. Love the Grey and yellow / lemon combo. Beautiful Altenew flower – but then ALL of their flower stamps are beautiful. Thanks for sharing. LOVE your work. Bev. Thanks for the great card ideas! Love this set. Love the wallpaper stamp. I am saving my money so I can buy the stamp and die set. Lovely card and the colors were great. Hopefully I will get the wallpaper stamp and die set soon. Love your color selection on this card. So pretty! Love your color combo! Beautiful card, happy birthday Altenew! Beautiful card and flower!! Thanks for sharing! Beautiful card. All the details, from the color brushed flower to the black embellishments, add the perfect balance. nice card. simple yet just right. Happy Anniversary Altenew! Love the flower! Nice use of color on the black and white background! A timeless piece! Truly classy. Love the impact of the large flower in the lemon/lime shade! Amazing! Love the color combination and the unexpected canopy leafs. so mych inspiration. Thank you! Lovely card as always Therese. Thank you for sharing your talent. This stamp set is definitely on my wish list! Congrats to Altenew on their success! Gorgeous card. Happy 5th Anniversary Altenew! I’m loving the Wallpaper Art stamp set too! You made a beautiful card with it! Offsetting the outline makes the leaves look so interesting and the limestone color surely is handsome ! Another beautiful card and another stamp set I just have to have! What a gorgeous card Therese! I’m so glad that Altenew introduced me to your incredible inspiration. Your videos are amazing and I always learn something from you. Thanks so much! Incredible card Therese.. It really is amazing. I love how you put splatters and enamel dots. Makes it pop too beautifully. Thanks for sharing. So pretty Therese! I’m waiting for my brushes to arrive so I can try this way of colouring! Love the split colour on the sentiment die! Thanks so much for sharing and for your wonderful inspiration! Such a fabulous card – I love the colour you’ve used for the flower! Great job, the flower is perfect for spring. Happy 5th anniversary! Very pretty, the yellow and grey is such a great color combo! Soft and elegant. Love your card Therese, you always do beautiful work. Happy Anniversary Altenew! This is very lovely. I like your flower color choice. I love the way you split the color of the word into two colors. I found it drew me and caused me to spend more time enjoying the wonderful creativity. Thank you for sharing. Great card. Love the 2-tone sentiment. I love that you made a Limeade flower, this card is SO beautiful! Wonderful CAS syle card Therese!! I love it when people colour flowers & leaves with non traditional colours. Thanks! I loved how you used the black and white on your sentiment and how you offset the color of the leaves. Great job!!! LOVE your pretty card and Altenew!! Love the offset stamping and the soft blending!! Very striking card!! I love the two tone effect on your CAS card! Very pretty! Such a pretty card. Love the pop of color! Wow Therese you surprise me every time with a beautiful card, the design is again great! The Wallpaper Art stamp set is my favorite from the last new release. Beautiful contribution to this day 2 Anniversary ! Fabulous card! Love the colors and your wonderful style. Beautiful card Theresa and I love the green flower and the two tone sentiment. So pretty! Great card! I just ordered the Wallpaper Art Stamp Set and can’t wait to get it in the mail!!! Love what you did with the sentiment! Your cards are always beautiful. I love the new Wallpaper stamp set. Is on my wish list. I love the colors of your card! I love how you did the title with half black and half white. A clever trick. It just it that extra extra. Simple, yet elegant. Beautifully done. You know how to add that special touch. What a pretty card. You do so much with just a few colors. And I love how you offset the outline and full leaf stamp. Someday I will figure out how to do that in such a way that it doesn’t look like a mistake. 😀 Thanks for sharing now and with all the Altenew releases. I really enjoy your work. So beautiful in it’s simplicity, Therese. I just got that flower and haven’t had a chance to ink it up yet. Love your card, Therese! Using blended ink on the flower looks so pretty…I wouldn’t have thought of doing that to color the flower. Thanks for sharing your creativity with us! Beautiful card. I love the yellow and black together. What a classy color combination, Therese! Beautiful work! Sweet card, Therese! I love the clean and simple design and your pretty colors. Fabulous mix of products, Therese, and this card (and flower) rock the house! Love the color! I just got those blending brushes and must get to using them. Everyone is raving about them. Thank your for always bringing such unique creativity to us in every Altenew blog hop. Your work is amazing. Happy 5th Anniversary celebration! Your card is so beautiful. I love the color. Happy 5th Anniversary Altenew!! Therese, this card is gorgeous! I have to buy that limeade ink! My fav color! I love the leaf canopy set too! So many things to buy! 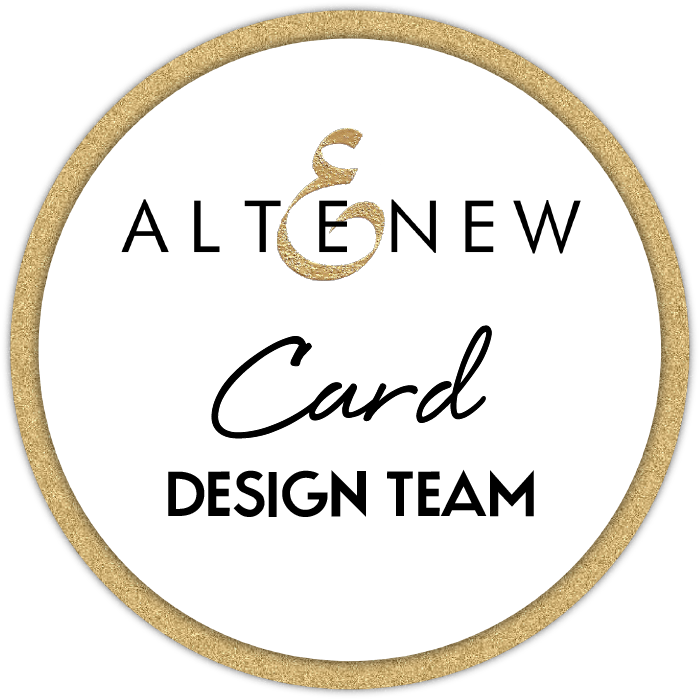 🤗 This card is gorgeous and so happy for Altenew’s success- having talented people like you on their team helps! Love this company and your beautiful designs! A beautiful card and a beautiful stamp. Lovely card! The green and grey look so nice together. Altenew is a wonderful company. This is so pretty!! Love the way you created the sentiment and I like the green and gray. Lovely design. Lovely card, Therese. Love how you colored the flower and let if be the focal point by having the rest of the card black and white. Love your card and the yellow you chose. I really like this new set from Altenew! No one beats Altenew for floral stamp. Your card is just another example why they are great! No one does floral better than Altenew and your card shows why they are great. So beautiful! That’s such a unique color on the flower and it looks lovely with the grey leaves. I like the two-tone Hope sentiment, as well. Love the greens in the yellow bloom. It sets if off great. I have a hard time doing that but will keep trying. You did great!!! An interesting but wonderful colour combination and that particular stamp set is lovely. Lovely card. I particularly like they way you did the wording. Thanks for sharing. Your blue flower is spectacular! It actually appears to be lifted off the paper it is so 3-D. Stunning colours, too. Can you tell I Loved your card. stunning colour combo and spectacular card as always! beautiful card with this gorgeous set! You make clean and simple, simply LOVELY! Beautiful color combinations I would NEVER have tried. Such a nice card. I love the colors and the sentiment two tone is fabulous. I would have never thought to change it up like that. TFS! Love you CAS card, the flower really shines!! I love how you took that pic with the drops of water! I love the two tone! Amazing! Beautiful. Like the way you colored the flower. I love the way ‘Hope’ is half white and half black. I think you have made an amazing card. Your color scheme is amazing. Beautiful card! Beautiful, elegant card – thanks for the inspiration! Lovely card — great stamp set! Happy Birthday, Altenew! Beautiful, stylish card in great colours ! I like it a lot. Thank you for sharing your talent and creativity ! I love how you did this! Gorgeous! Beautiful card and I love that stamp set too! Nice card, simple color yet elegant. Thanks for sharing and Happy Anniversary to Altenew! Happy Birthday Altenew and many more! Love your clean and simple style! Such a beautiful card! I also love the wallpaper art stamp set and hope to have it soon! I love your yellow flower! Thanks for sharing! Happy Anniversary Altenew! Beautiful, Therese! I think that is one of my favorite sets from Altenew and I love the mask stencil! Happy Birthday to Altenew! Love the soft, subtle use of color with the black and white contrast to spark your design! Love the CAS approach and use of white space. Beautiful card design enabled with Altenew products! Your art brightens my day! color of the flower. Great card. The Wallpaper set is quickly becoming an all time favorite. Yours are just beautiful! Thanks for the inspiration! Happy Birthday Altenew! I love supporting such a talented American company! I’m at a loss for words… bet you never thought you’d read THAT from me!? so perfect. Beautiful. I love watching you create. Looking forward to the next card. Gorgeous and love the style! Happy Anniversary Altenew! LOVE your inky flower, ADORE your design, the offset stamping of the leaves gives wonderful dimension to your ELEGANT design – WOW! I love the two toned word “Hope” and of course the pop of color on the flower is fantastic! Such a beautiful color combo and I love the addition of the enamel dots. They really make the card pop! Lovely card! I love the new masks and stencils, too, especially since I have a hard time cutting stencils. I keep wishing Altenew would make a mask to go with the lovely new pomander stamp. Therese, the ‘Splatter’ added just the right touch! Gorgeous card- I am loving this stamp set the more and more I see it! Beautiful card! I love that the flower is the only pop of colour on the card – gorgeous design! So beautiful!! I LOVE this set (have since they released it last month) and I love the way you have used it. The sentiment treatment is a fun touch! luv the look of offsetting the outline! Beautiful card! I love the flower color and the way you placed the word “hope”! Thank you for sharing! Happy Anniversary Altenew! I’m loving all the fun cards that designers are creating with that wallpaper inspired stamp set. Yours is simple, yet elegant with a fun twist in the two tone sentiment! Beautiful! Happy Birthday, Altenew. Maybe we enjoy many more yrs of inspiration from all of you! I love the pretty pop of yellow on the card. The offset idea is something I have to try. Happy Birthday Altenew and thank you Therese for always sharing such lovely designs! I like how you offset the grey leaves from the black outline, it’s such a simple but effective touch! Your dip/mirror treatment of the sentiment is awesome! What a really pretty card! I love the yellow/green color of your flower as yellow is my favorite color in the whole wide world. I love your coloring & embellishments. This would be an amazing card to get in my mailbox & my mailbox & I would be smiling if we received it. Happy 5th anniversary Altenew! So pretty in yellow and grey. That set is on my wishlist! Love your card! Love the touch of green in the flower petals…nice touch! I love the simplistic, fresh and crisp look of this card. Gorgeous! Such a simple card and beautiful. Thanks for sharing. Gorgeous card! I love how you used The Leaf Canopy stamp along with Wallpaper Art Stamp Set.